MASCHINE MIKRO MK3 is the perfect entry into the world of MASCHINE, giving you tactile, hands-on control for beat production, sampling and performance. MASCHINE MIKRO is a professional music production tool, combining the flexibility of software with the immediacy of hardware - now updated with new, multi-colored pads, enhanced display and more. Create rhythms, bass lines, chords and melodies, and build tracks on-the-fly with the intuitive, clip-based sequencer. MASCHINE MIKRO also gives you a high-performance sampler, professional effects and full support for VST and Audio Units plug-ins. What's more, you can also run MASCHINE MIKRO as a plug-in in your DAW. And check out iMASCHINE - NI's on-the-go beat sketchpad for the iPhone and iPod Touch. 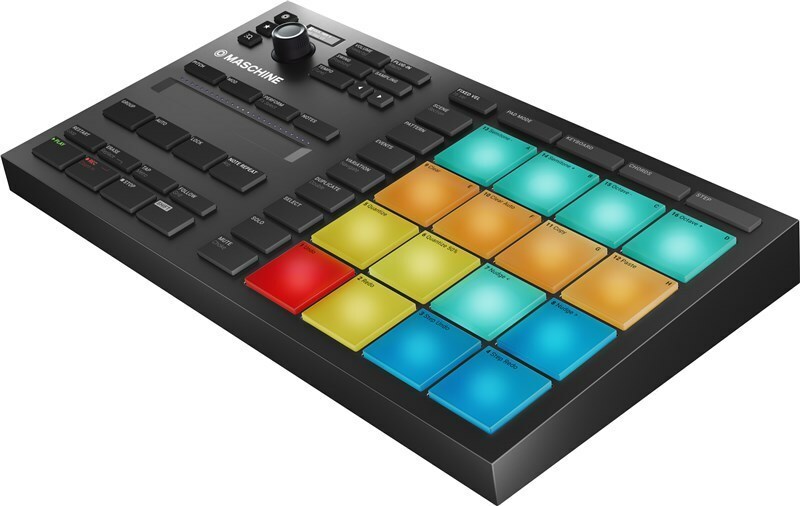 Import your iMASCHINE projects to MASCHINE MIKRO to finish your ideas in your studio. MASCHINE MIKRO comes with over 6 GB of ready-to-use, professional and inspiring sounds. Create rhythms and melodies right away with the included drum kits, one-shot samples, basses, synths and acoustic instruments - all fully tagged for easy browsing. Add extra fuel to your MASCHINE or MASCHINE MIKRO with MASCHINE EXPANSIONS - sonically-specialized packages created by renowned sound designers and artists.